Lad Musician uses super 130s gabardine to create the Nano, a rich charcoal suit. 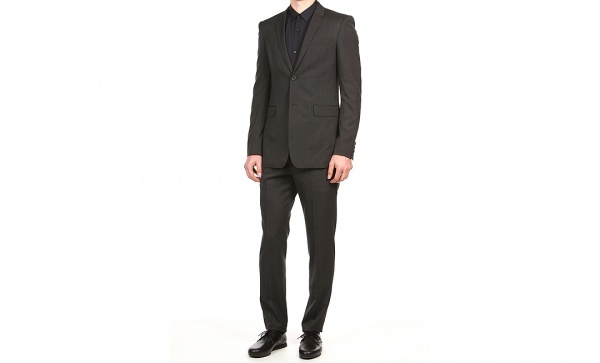 A modestly cut two button suit with subtle pick stitching details, notched lapels and side vents. A wonderfully simple, subdued suit from this Japanese brand, it’s available online now. This entry was posted in Suits and tagged Lad Musician, Suit. Bookmark the permalink.